"Designed for Home Inspectors, Appraisers and Phase 1 Inspectors who wish to expand their business opportunities into Energy and Environmental Inspecting through our Residential Energy Assessor Program"
STEP 1: In order to become a Residential Energy Assessor, ("R.E.A. Designation") you are required to take the required coursework, as developed by The Merrell Institute (or equivalent coursework) in which the detailed outline must be reviewed by the Merrell Institute Board of Educators and the National Association you are affiliated with. EAA, HIF, ACI, NAREA, NARAMU, or IREI. STEP 3: You must agree to abide by the Residential Energy Assessor ("R.E.A. 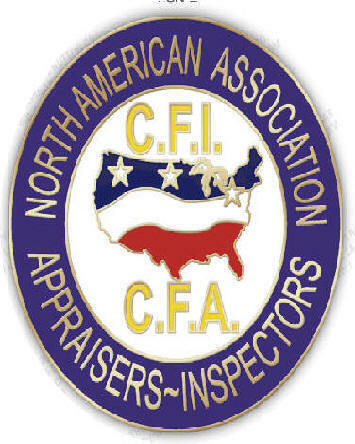 Designation") Code of Ethics and abide by all Local, State and Federal Regulations. You must certify your compliance with all requirements as set forth by the Merrell Institute Board of Educators. 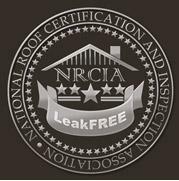 The purpose of achieving this designation is to be capable of offering a Residential Energy Inspection. (Healthy Inspections in which Environmental Concerns will also be addressed. This will include an energy savings inspection and an environmental phase 1 inspection. Homeowners benefit from an Inspection that includes the Healthy Home Concept. Educator/Author of Program: Bill C. Merrell, Ph.D., R.E.A. Consider this as a new way to make money in this economy- read all about the program and Sign Up Today! We teach you what you need to perform Energy Inspections- The cost for the Correspondence Course is $ 295.00- Not $ 795.00. A $ 500.00 Savings ! This program involves both theory and practical n training. We will cover each aspect of Energy, Energy Efficiency, and Environmental Concerns for a residential home. We will show you how to complete an Energy Inspection for the benefit of Homeowners and Home-buyers. Many homeowners can save thousands of dollars in energy bills over 5 to 10 years by implementing your recommendations. We include the materials you need to develop a detailed understanding of the process and create the Reports for homeowners in a Narrative style. There is also a Comprehensive Exam at course conclusion for REA Designation. This ius an Educational Correspondence Program. throughout the country. Check to see if your state recognizes or has additional regulations regarding Energy Savings Reports. Upon completion of this correspondence program, you will be eligible for the designation of R.E.A. Designation (Residential Energy Assessor) free, and membership to the Environmental Assessment Association and the Housing Inspection Foundation. 1st Year Membership reduced to $ 59.00.
for Tested, Educated and Designated Inspectors who who wish to actively perform Residential Energy Assessments. To Apply to the ENERGY INSPECTION NETWORK, fill out the form below and snail mail it to our facilities with all documents requested. We will e-mail you a PDF exam, which you are to complete and snail mail back to us. 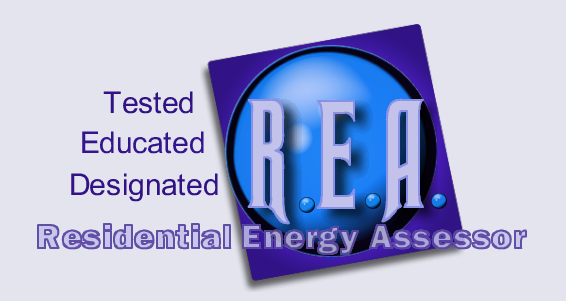 Once we have received the original documentation and the completed Examination, The Residential Energy Assessor Board will contact you and finalize your application and, if determined qualified, you will be permitted use of the REA Designation, Residential Energy Assessor Designation. I certify that the information contained is true. I will supply all information requested above. The Education Board will make a final determination as to your membership and use of the Residential Energy Assessor Designation. a Membership Certificate (Mailed and E-Mailed) Allow 2 weeks processing for those who qualify. Allow up to 2 weeks to receive your official certificate. We process memberships on the 1st and 15th or each month as approved by the Residential Energy Assessors Committee. Ads, ad links, products and content on this page are not necessarily endorsed by these organizations.